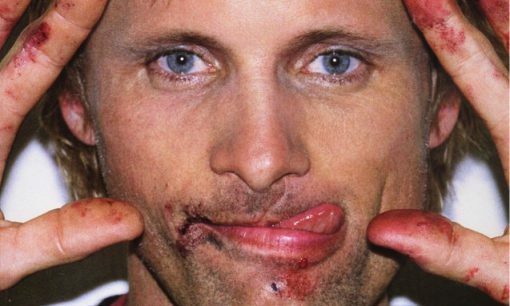 Extensive in-depth article on Viggo's film career, his role as Aragorn, the challenge of dealing with new-found fame, creative pursuits, his relationship with Henry, the filming of Hidalgo, and philosophy of life. Wonderful photos by Terry Richardson. Excerpt: "Throughout an hour of conversation, these themes are woven into the fabric of every thought: an open mind; humility; doing your best; a constant quest to learn and enrich your life. 'There is only one kind of actor, and that's a supporting actor,' he says, meaning that even in a lead role you are always supporting the vision of the director. 'In a movie, you're raw material, just a hue of some colour and the director makes the painting.'"